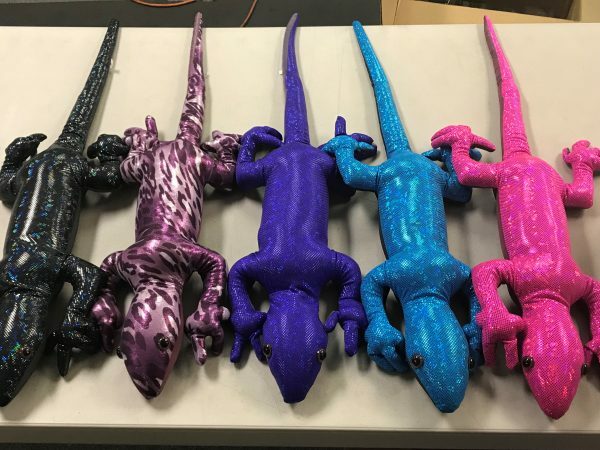 These colorful, weighted geckos help children with sensory issues to relax and calm themselves. Each soothing gecko is about 30″ long and weighs about five pounds. The Gentle Gecko can be a great help for children who need the extra weight to feel grounded, and the fact that it’s a “cool” toy makes using it seem more like playing and less like therapy! Filled with non-toxic milo (a type of birdseed), these gentle creatures have a soft, soothing outside that makes them irresistible.